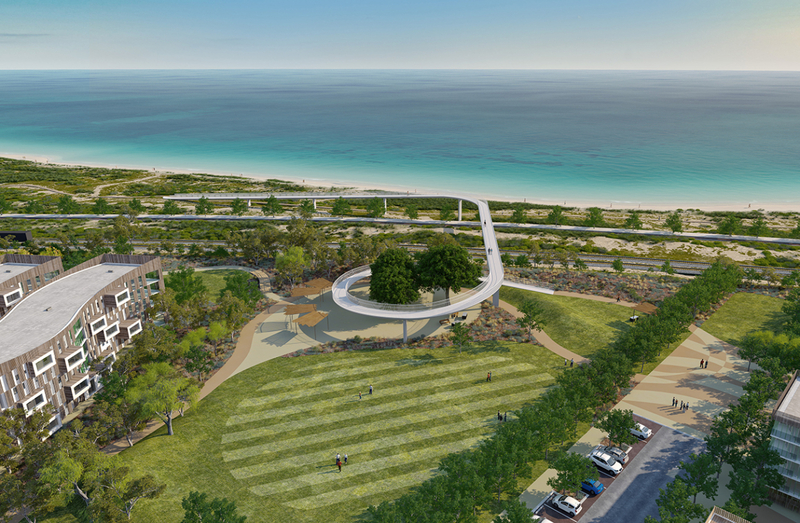 Contributing to Landcorp’s broad vision for the Cockburn Coast and the Robb Jetty precinct, the proposed pedestrian bridge in North Coogee connects the multi-residential development to the foreshore over the existing Fremantle freight rail line. 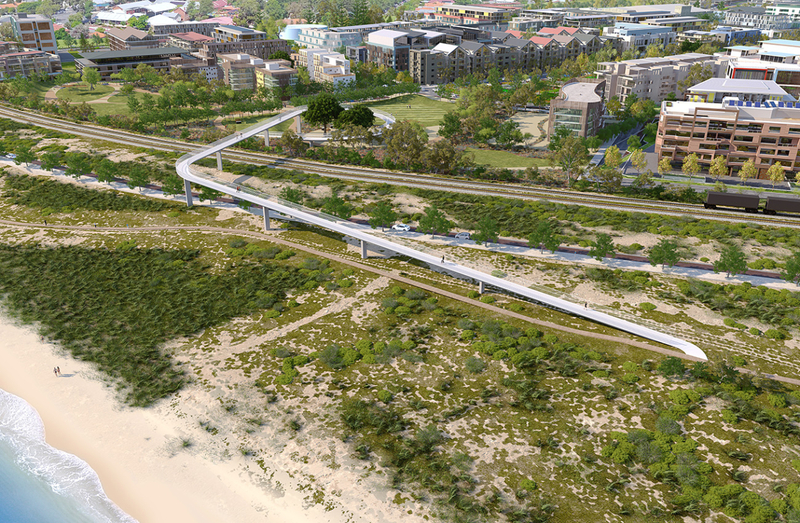 Comprised of a loop ramp rising from the civic space on the east, linear crossing over the rail corridor and sweeping curve ramp south to the foreshore on the west, pedestrians and cyclists are always engaged with the coastal landscape and activities happening below. 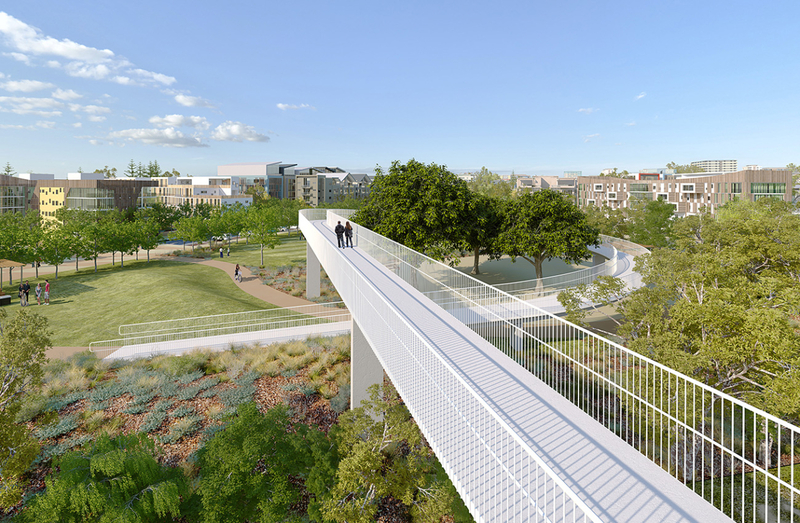 Accessibility, safety and security were all priorities in the design of the structure.